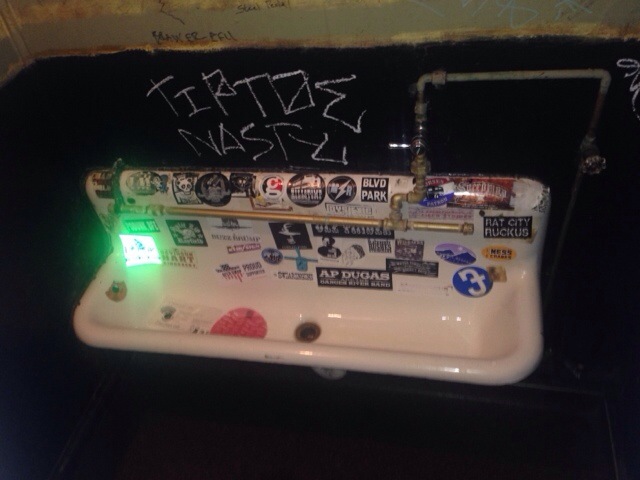 February | 2014 | Shits and Giggles: A Seattle bathroom tour! 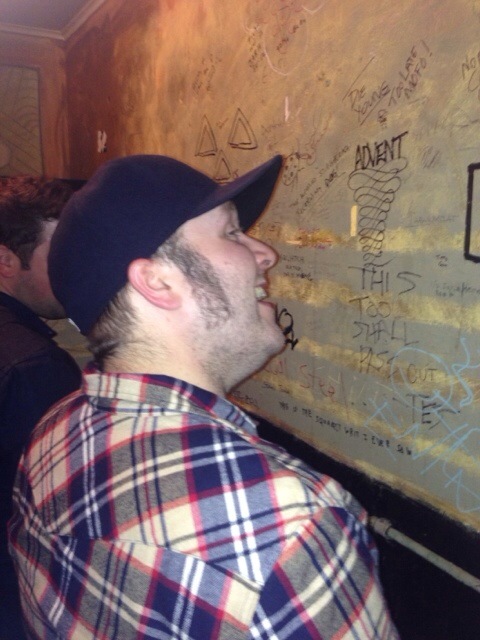 Tractor Tavern: Troughs and Tightfits. Tractor Tavern in Ballard is one of the few timeless places left in Old Ballard. Shows there are always smiled upon. 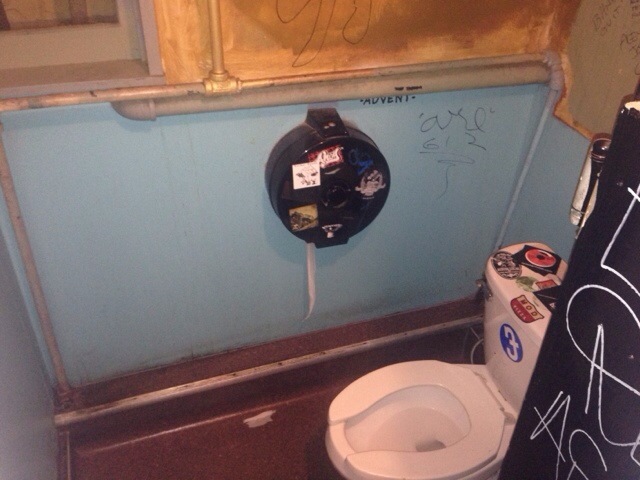 Good divey atmosphere, great stage, above mediocre sound and a good shady bathroom! 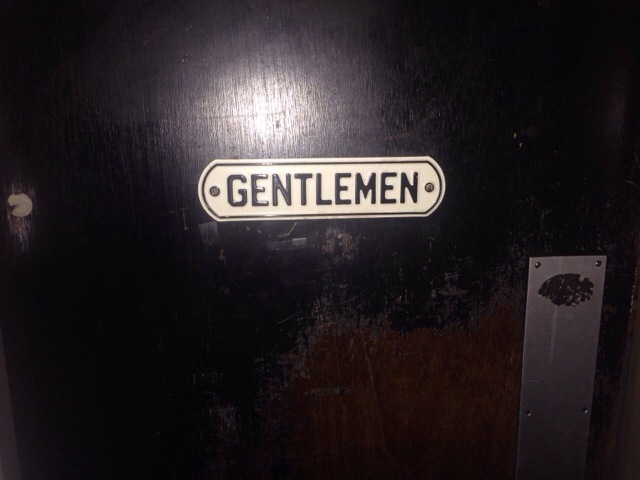 The welcoming GENTLEMEN sign warms you up! 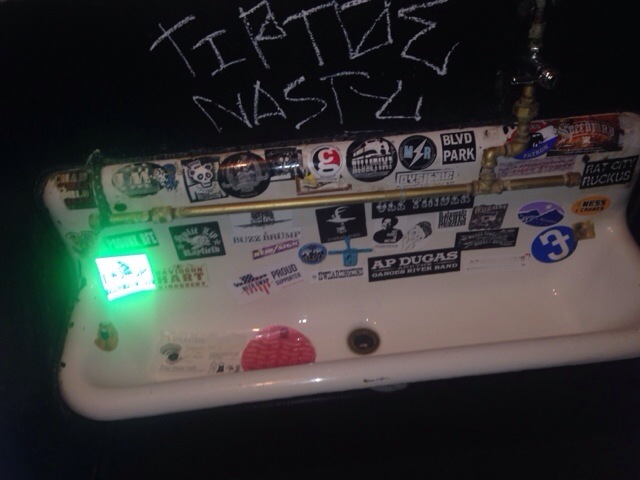 It’s a graffitied mess in the restroom. A classic trough that fits two comfortably. 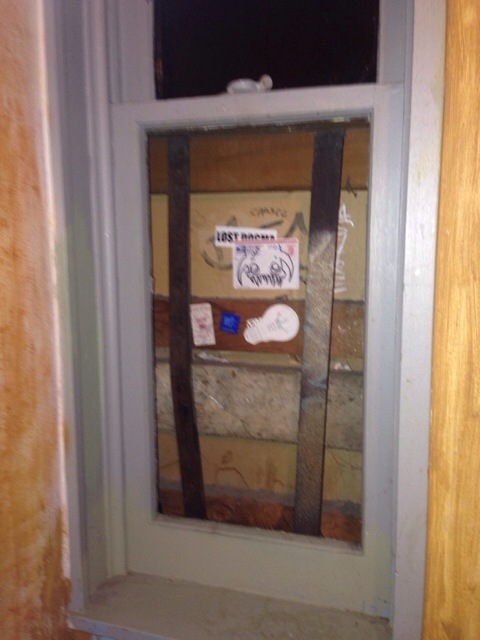 A stall is available, with a ton of interesting nooks and crevices on the ceiling. The boarded up walls fit right in! 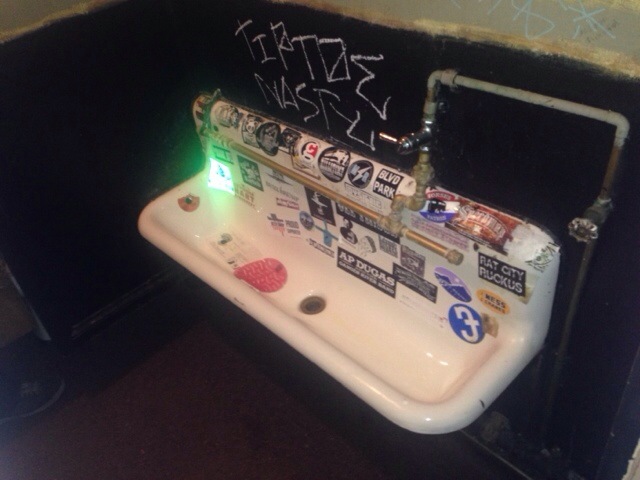 The Tractors toilets were good and trashy. Smelly in a good divey way. 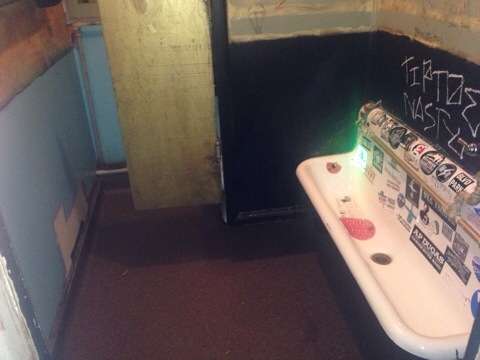 The bathroom is compact, and keeps with the theme of a no frills rock bar. 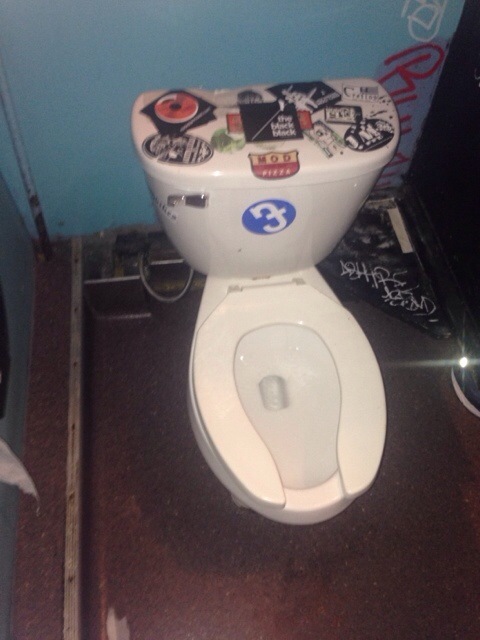 I need to get my bands stickers up on the walls!